As people age, it is common for them to experience changes to their thinking skills. Forgetfulness, difficulty paying attention to one thing at a time, and reductions in how quickly information is processed, are all common age-related cognitive changes. As a clinical neuropsychologist specializing in the care of older adults and their families, I often suggest certain lifestyle changes that clients can make in an effort to improve or maintain their cognitive health, such as eating a healthy diet low in processed foods, exercising, and staying mentally and socially active. Over the last four years supported by Phonak AG, I have been working with a team of audiologists in a geriatric audiology clinic in Toronto, Canada, to examine one other potential lifestyle change — the use of hearing instruments. There is growing understanding about the important connection between brain health and hearing health as we age. Indeed, recent research has shown an increased risk of cognitive loss in older adults with greater levels of hearing loss. The Baycrest audiologists are incredibly experienced in working with a frail elderly population with multiple medical comorbidities, at least 40% of whom have an identified cognitive loss. These clients are often accompanied to their appointments by a significant other, be it a family member or a formal caregiver. Every effort is made to involve the significant others in the rehab process; the use of a family-centered approach to adult audiologic care is a key tenet of the clinic. One recent hearing aid evaluation appointment, in which a wife was distraught at her husband’s diagnosis of mild cognitive impairment (MCI), showcased for me the benefits of providing counselling from an integrated psychological and audiologic perspective. In this case, the wife had many questions about her husband’s cognitive changes that the audiologist did not feel qualified to answer, and invited me into the session to provide additional counselling and support. The audiologist and I worked closely together to inform the wife and husband about the potential effects of MCI on the husband’s thinking skills, participation in everyday activities, and social interaction. It was then easier for the couple to see how they could both benefit from the husband’s use of amplification. 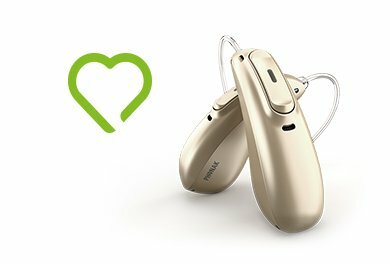 Two weeks after the fitting, the husband and wife reported that the hearing aids were helping both of them- the wife no longer has to repeat herself as frequently, and the husband is pleased with the sound quality of his devices and benefits from improved communication. Integrating a psychologist’s perspective into geriatric audiologic rehab can help to effectively address family member’s questions about the key connections between hearing health and brain health, in particular when a client is experiencing cognitive loss and benefits from improved communication and reduced listening effort. 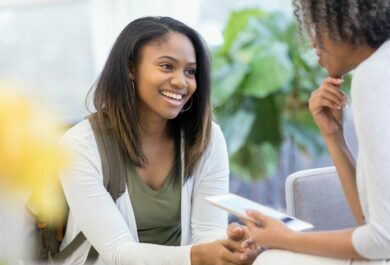 Since audiologists are generally not formally trained in psychology, many feel ill-equipped to counsel clients and their caregivers regarding their cognitive changes and the implications for daily life. As a result, they are very open to assistance from other professions when treating their clients. This showcases an important potential role for a psychologist in an audiology clinic, either as a staff member or in an “on-call” capacity. Of course, many audiologists may not have access to a psychologist in their practice. In these cases, they may want to refer the client back to their family doctor or provide resources about local psychological care. Alternately, the audiologist could independently learn more about counselling clients with cognitive loss through excellent online resources, such as our team’s publication in Seminars in Hearing (Pichora-Fuller, Dupuis, Reed, & Lemke, 2013), Patricia Kricos’ 2006 paper in Trends in Amplification, or by reviewing presentations from the session on “Interventions for adults with dementia and their caregivers” at the recent World Congress of Audiology conference. If you’re interested in learning more about the benefits of collaboration in geriatric audiology, read a paper about the collaborative experiences of audiologists and psychologists at Baycrest Health Sciences in Toronto, Canada! I have been on medical leave and just returned to work and discovered this blog. I am interested in receiving all information you can share because most of my patients are geriactrics. 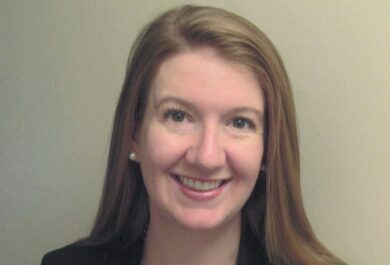 Kate, Ph.D., C.Psych, is a postdoctoral fellow at Baycrest Health Sciences in Toronto, Canada. Her research interests include examining the interaction between sensory and cognitive processes, facilitating audiologic rehabilitation in older adults with cognitive impairment, and improving communication between individuals with dementia and their family members.